Modiform have recently replaced a patio shade sail over an outdoor entertainment area in Springfield Lakes that provide weather protection for the family. A Brand New Replacement Sail! 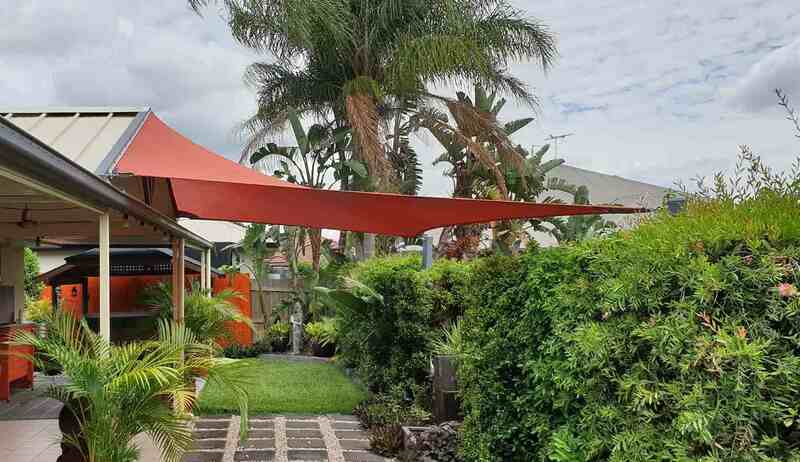 This beautiful family sought a custom patio shade sail that was fabricated to fit the existing mounting points of this home’s old shade sail. 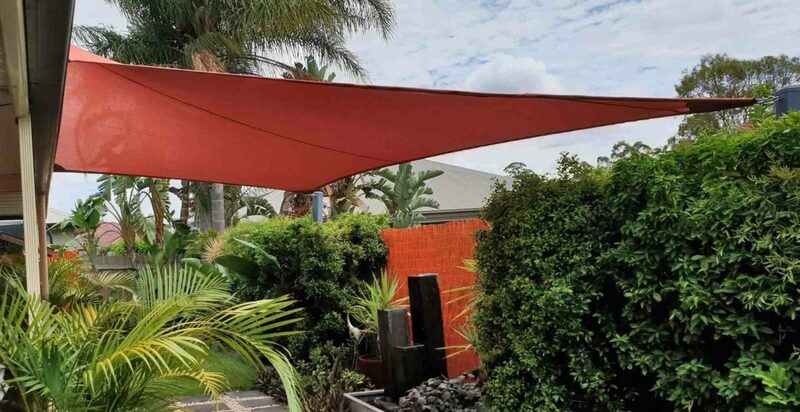 In order for us to fabricate a shade sail that fits properly to the existing fixings, we need to make sure accurate measurements from mounting point to mounting point are made. 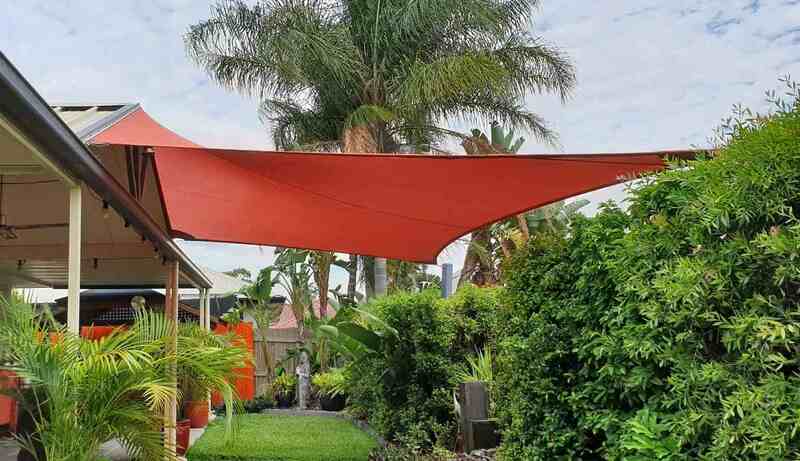 This Home’s new replacement shade sail helps ensure protection from sunburn and skin cancer and is an economical and attractive shelter from the sun. 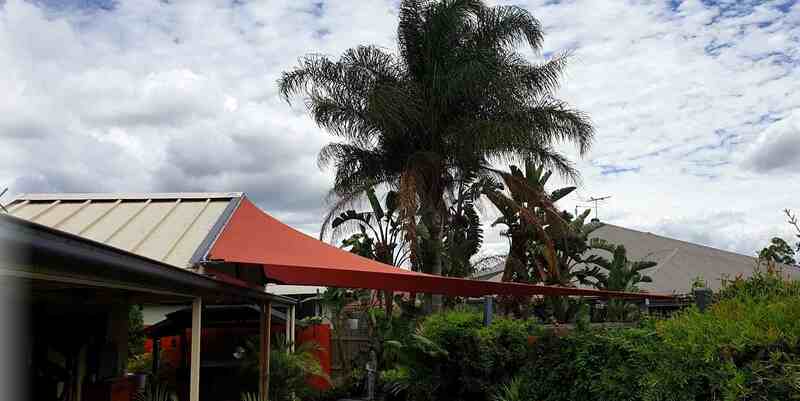 Being a larger shade sail, we were careful to slant the sails to prevent water from temporarily pooling during rain. A slope of at 20% was used and is recommended as a minimum.